Even though Google’s GEL or Google Experience Launcher is currently an exclusive to the Nexus 5, we’re all well aware of its capabilities on other devices running Android 4.1+. In fact, the last Google Search update from mid-November brought compatibility with the new launcher to all sorts of devices, assuming you had the new GoogleHome.apk sideloaded. But compatibility is one thing, functioning correctly and not looking like garbage is another. 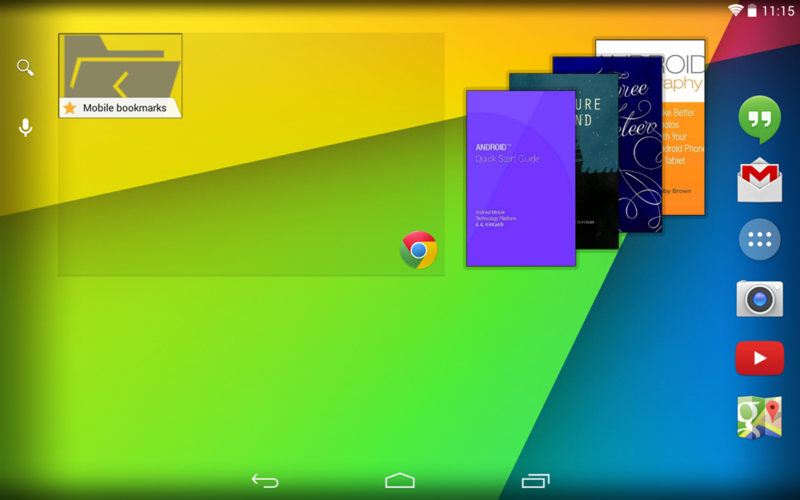 For example, if you loaded the GEL onto a Nexus 7 you could enjoy some of the experience, however, flipping the device into landscape didn’t exactly show that the launcher was ready for anything outside of a phone. 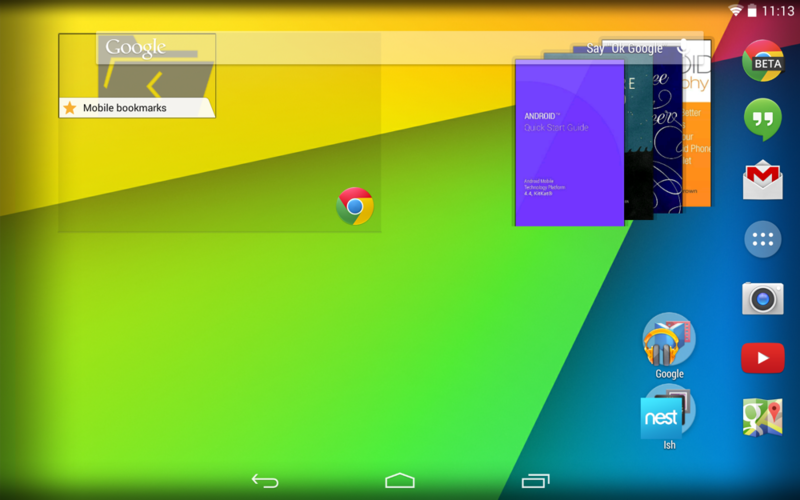 If you take a look at the image below, you’ll see the Google Search bar overlapping widgets when flipped landscape. But if you look up top to my Nexus 7 running the newest version of Google Search, the search bar actually slides to the left side to make the experience appear as if it has been made ready for the N7. The grid also seems to have been adjusted to 5×5 instead of the 6×6 it previously carried. There is still at least one bug, though. If you grab an app from the drawer, you’ll now see an App Info option to drag to when in landscape with system apps, but still a semi-broken double-option experience of “Uninstall” or “App info” with non-system apps. These little touches seem so minor, but if you were wanting the transparent goodness that comes with GEL on your Nexus 7, you can now experience that without all of the major bugs. For those new to GEL, you’ll need to install the GoogleHome.apk from the Nexus 5, followed by the newest Google Search. We have both .apks for you below, including the Search update that rolled out yesterday.